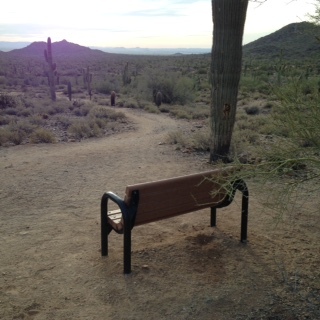 Bill and I were out on the beautiful San Tan Hiking Trails by 6:30 A.M. this morning. 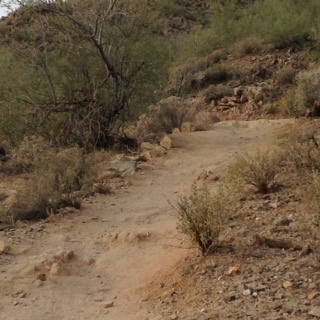 We headed up Moonlight, crossed over to Stargazer, then came back down San Tan. 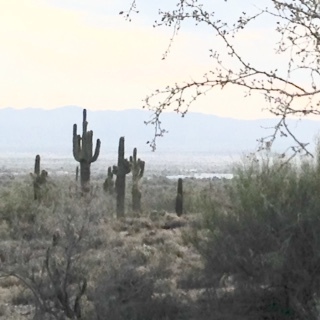 With over 10,000 acres and 20 miles of beautiful trails sitting in our backyard, we enjoy a hike almost everyday. Finally, we located one that was fully open for the first and only time. Because after they close, that same flower never opens again.. 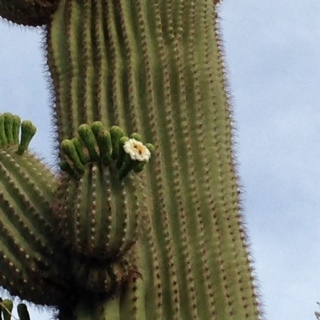 It is a beautiful sight to find an open saguaro flower in the daytime, and I’m sure there is some sort of special blessing one gets as they gaze upon it pondering it’s beauty…but I can’t confirm that.. Here you go Shelagh…this one is just for YOU! 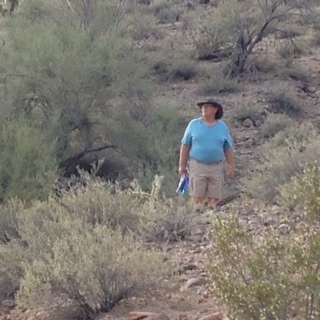 Now we are off to help one of our other park hosts, Robert, celebrate his 79th birthday. His wife Toni, is serving up lunch and cake and we will all share our birthday wishes for Robert, who I call Pappy. This celebration will be bitter-sweet because Robert and Toni decided this will be the last year they work/camp after 20 years on the road. They just want to relax now and enjoy their family. But they promised to come back and visit us and we will all look forward to that. We wish them well.